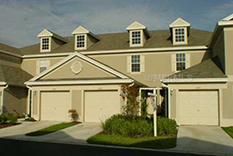 Bayshore area’s Fisher Properties Group provides full-service turn-key rental property management and real estate brokerage services. Bayshore Boulevard is a waterfront road on Hillsborough Bay in South Tampa, Florida. Located south of downtown Tampa, its sidewalk, claimed to be the longest continuous sidewalk in the world at 4.5 miles long, is 10 feet wide and is widely used for recreation and exercise. However, the longest continuous sidewalk in the world is actually the Rambla of Montevideo, which is over 13.7 miles long and that borders the entire coast of Montevideo, Uruguay, along the Río de la Plata. The 3-mile bike lane, a linear park, and the Bayshore Greenway Trail provide scenic views of urban Tampa and the water. Many large and historic homes line the road, as well as business including the Colonnade (restaurant), a historic seafood restaurant established in 1935. The Gasparilla Children's parade is held on a section of the road.